Insects have a very good conversion rate from feed to meat. 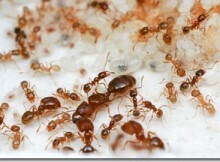 They make up part of the diet of two billion people and are commonly eaten in many parts of the world. Eating insects is good for the environment and balanced diets. This of-course is nothing new in the world of environmentalism. Satisfying one’s need (or desire) for animal protein with meat has long been considered inefficient and wasteful, due to the energy required to fatten cattle and the like, and the large tracts of land needed to support them and their families. At the opposite end of the scale, instead of raising a cow in order to have it convert grass into nice juicy hamburgers, it would be most efficient of you instead to simply eat the grass yourself. It cuts out so many middlemen and, as we know, it all ends up going the same place anyway. These kinds of arguments (albeit less elegantly-made) have so far failed to convince very many people to do the right thing. So the campaign has advanced to moving people away from eating large animals and towards eating very small animals instead. Insects don’t require vast fields on which to roam and feed. 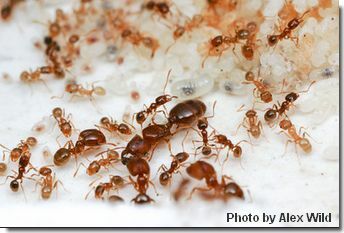 In fact, as you may have noticed, you can pretty much feed an army of ants with just a splotch of spilled strawberry jam. Cockroaches will seemingly eat anything, even newspaper. And in any case you will rarely actually observe an insect sitting down and eating at all; it may well be that most of them simply live on air and sunlight. If so, then if we could ourselves eat insects, we could achieve our own long cherished dream of living on air and sunlight, albeit just one step removed. These are weighty facts, and indeed all of the data, once you analyze it (as I have), is highly persuasive. We should be living on bugs. The thing is, unfortunately, that I’m not quite ready to eat insects myself. There are reasons for this that stem from a troubled childhood, and we really don’t need to get into all of that now. However, there’s no question in my mind but that it would be a good thing if everyone else switched to the insect diet, and so here are some recommendations for beginning on that path. You must not, of-course, simply squash the nearest bug and put it in your mouth. This is because you really don’t know what the hell you’re doing. You might eat an insect that is needed for other purposes, or one that has a wife and kids at home, or one that once ingested will make you see strange shimmering colors and sing John Denver songs. You need to be guided towards eating insects that have been properly selected, carefully raised, and humanely slaughtered. 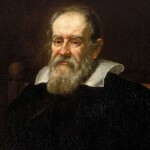 (Slaughtering insects humanely, I need hardly tell you, requires the proper instruments and superb eyesight.) Fortunately the answers are right here, and you can obtain all the environmentally-correct animal protein you need quickly and reliably via Amazon.com. You can do no better than to begin with cricket flour. “Cricket contains twice as much protein as beef, as much calcium as milk, as much Vitamin B12 as salmon, and 17 amino acids, including Lysine.” You can begin by sprinkling your cricket flour on other less environmentally-correct foods, and then progress steadily towards removing those foods until you’re eating nothing but pure cricket. At the time of writing, it is priced at $12.97 for, well, just under a quarter of a pound, and … what a bargain, when you consider that it takes approximately 1,100 crickets to make up this little bag of “flour”! Can you imagine the labor involved in capturing and humanely slaughtering all of these little buggers beautiful creatures? And no one said that saving the Earth would be cheap. One thing, however: just a piece of advice to the manufacturers. 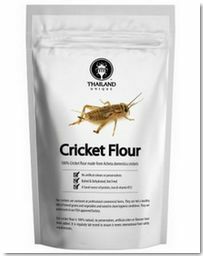 If I personally were marketing cricket flour, I would probably tend towards a more generic kind of packaging. That is, I would put it in a bag that doesn’t feature a big picture of a bug with many legs and antennae and so on. Maybe I’m crazy. On the other hand, if you prefer to know exactly what you’re eating and glory in it, then what you’ll be wanting are the Crispy Fried Achetas with Salt. Here you can revel in the gorgeous legs, the delicate antennae, and that unmistakable and satisfying crunch as it all goes down. 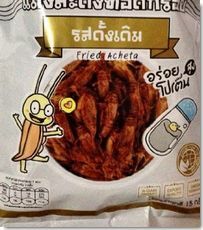 Achetas are basically crickets from Thailand, and click the following link to enjoy a wonderful YouTube video of one in its natural environment. Gets your mouth watering, I bet. Order through the helpful links here, and this site will earn a small commission, at no additional cost to you. So, while you’re saving the Earth, you’ll be saving THE CINCH REVIEW too, and the reward for that in heaven will be boundless.